Win a $100 Gift Card for Dinner for Two on Valentine’s Day! Visit Best Collateral San Mateo and enter to win. Two drawings will be held on Wendnesday, February 13, 2019. 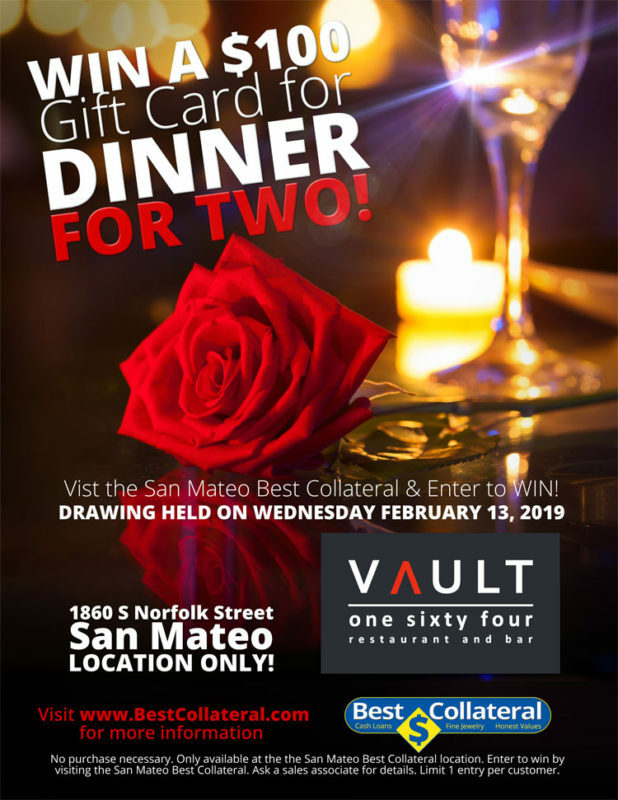 Gift Cards are redeemable at Vault One Sixty Four and reservations for Valentine’s Day have been made. No purchase necessary. Only available at the Best Collateral San Mateo location. Enter to win by visiting the San Mateo Best Collateral location. Ask a sales associate for details. Limit 1 entry per customer.